In late 1889 and on into the following year the European and American papers were agog at the antics of Count Sandor Vay, a young Hungarian man about town, who had been arraigned before magistrates at Klagenfurt in November 1889 on charges of fraud and forgery of official documents. only a woman, walking around in masculine clothes. 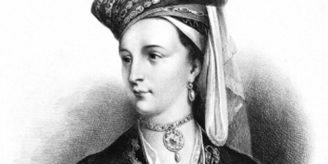 “A lady of masculine appearance, the Countess Sarolta Vay, took to disguising herself some time ago as a man, and, under the name of Count Vay, contracted marriage with a young girl. She has just undergone a preliminary examination before the magistrates of Klagenfurt, but medical certificates having declared her to be afflicted with moral insanity she has been relegated to an asylum.” (The Times 26/1/1890). “An extraordinary story, first published by a Vienna newspaper a few days ago, and then generally disbelieved, has since been confirmed in every particular. … The newly-married couple lived together for some time, and afterwards visited the girl’s parents in Klagenfurt, where the father-in-law was constantly fleeced by the alleged Count …. Ere long it was found that the so-called Count was in reality a woman of thirty-six, the Countess Sarolta Vay, daughter of the late Colonel of Honveds, Count Ladislaus Vay …(The Standard 8/11/1889). The American press indulged in screaming headlines. “Singular Career of the Daughter of an Austrian Count – Startling Eccentricities of a Girl who Objects to being a Woman, Her Extravagance and Dissipation the Talk of Two Kingdoms” (The Salem Daily News, Ohio, 12/12/1889). “The Countess Sarolta Vay, the young woman who created a sensation at Pesht some time since by masquerading as a man, and going through a form of marriage with a girl, it is reported is dying at Pesht, and her pranks and eccentricities are over for ever” (The North Eastern Daily Gazette, ‘Reading for Ladies’, 21/3/1890). By this date Vay had been released from custody, having been acquitted of the original criminal charges on medical grounds. 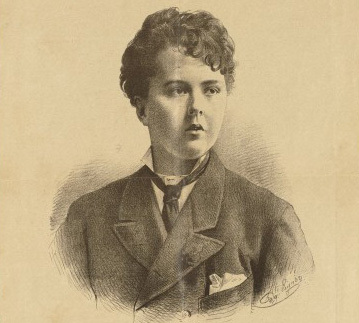 And there the story of her ‘pranks’ might have ended, if her case had not attracted the attention of Richard von Krafft-Ebing (1840-1902), Professor of Psychiatry at Vienna. “Professor Krafft-Ebing, the famous specialist in mental diseases, ….devotes a long chapter to an interesting case … [and] says that it would be well for doctors to take note of it…. The Countess Sarolta’s father, a spendthrift who ran through a million and a half of florins, brought up his two children as his crazy mind dictated. The girl went as a boy and the boy as a girl. When the boy reached 15 he became a cadet and the comedy ended for him. Not so for Sarolta who was known as Sandor. Before she was eighteen she drank, smoked, fenced cleverly, spent the evenings at cafés and had several love affairs. Everybody in Budapest took her for a man. …. Sarolta Vay was acquitted. She returned to Budapest and to her male attire and her habits of smoking and drinking. She writes for the newspapers and is not without talent. Her only grief, she declares, is that she has been robbed of what she calls her lawful wife” (Daily News 23/7/1890). Krafft-Ebing had not identified Vay by name, but of course so recent a case was instantly and generally recognisable. Psychopathia Sexualis was intended for use by doctors and lawyers but its contents, which seem only to have become more appetizing through the author’s recourse to Latin to describe some of the most private practices of his subjects, could not be long restricted to professional circles, as the press coverage makes clear. And Krafft-Ebing did not stint in reproducing full details of Vay’s intimate medical examination, for he classified her case as one of gynandry, that is inborn contrary sexual feeling with associated genital inversion. In fact he constructed from her case, it is claimed, the archetype of the mannish lesbian, and thereby ensured Vay’s lasting fame. Krafft-Ebing’s papers, which are held in the Wellcome Library, do not appear to include any material on Vay, apart from a small portrait photograph and a large engraved image from a Viennese newspaper (see above). There are however several other resources available in the Library through which the case can be approached, from copies of Psychopathia Sexualis itself, to digital copies of newspapers and periodicals of the period. Registered members of the Wellcome Library have free access to the on-line collections of 19th Century British Library Newspapers and 19th Century UK Periodicals. Reference:Mak G. Sandor/Sarolta Vay: from Passing Woman to Sexual Invert. Journal of Women’s History 2004;16(1):54-77.